IPAM Director Russ Caflisch has been appointed Director of the Courant Institute of Mathematical Sciences at New York University. His appointment will begin on September 1, 2017. Russ will return to Courant after a lengthy career at UCLA, where he has been a professor of Mathematics since 1989 (with a joint appointment in Materials Science and Engineering) and Director of IPAM since 2008. He received his master’s and doctoral degrees from Courant, and later joined the Courant faculty before moving to UCLA. 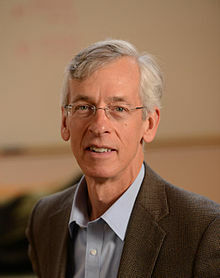 He was an Alfred P. Sloan research fellow and an invited lecturer at the 2006 International Congress of Mathematicians, and is a fellow of the American Academy of Arts and Sciences, AMS, and SIAM. Russ announced his intention to resign from the IPAM directorship last year, effective July 1, 2017. The results of the director search will be announced in the upcoming weeks.